Coinciding virtually with the delivery of the first Charleston built 787 Dreamliner (for Air India) Boeing has come up with a surge of orders for the new 737 MAX. For this year at least it remains comfortably ahead of Airbus in terms of fixed business. With 1,414 firm commitments to date the A320 Neo remains well in front of its Boeing rival, nevertheless the MAX is slowly but surely catching up with 858 sold. 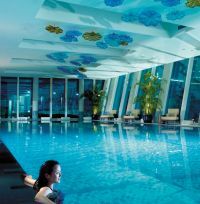 In what some cynics have suggested was a bid to upstage Gulf area rival Qatar Airways, Etihad revealed last Monday (8 October), hours before the oneworld press conference, that it was going into a strategic partnership with Air France. Exeter Airport based Flybe has opened bookings for summer 2013 and also confirmed its joint venture with Finnair. 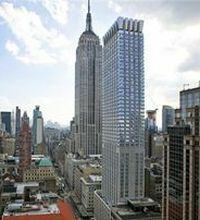 The Setai Fifth Avenue hotel is set to become the Langham New York from January 2013 under a managed hotel agreement, and is certain to be upgraded to the even higher standard required of the Hong Kong based group. 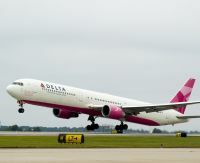 Delta Air Lines distinctive Boeing 767-400 ‘Pink Plane’ will be flying to key cities in Europe as part of its annual awareness campaign and fundraising effort for The Breast Cancer Research Foundation (BCRF). Throughout the rest of this month the aircraft will operate to a host of European destinations including, Frankfurt, London, Madrid, Moscow and Nice. 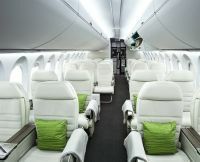 Inspite of Spain’s economic woes Barcelona based Vueling last week announced ambitious plans for further expansion in 2013. Up goes the number of aircraft based at El Prat from 34 to 43. 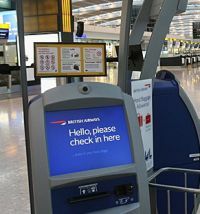 Airline passengers want more control of their journey and are looking for more self-service and mobile-based offerings to reduce stress during travel according to the 2012 SITA/Air Transport World Passenger Self-Service Survey. It reports that 70% of passengers now carry smartphones, which is fuelling the demand for services such as self-boarding and flight information updates on their mobiles. 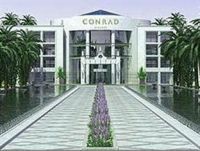 Hilton Hotels has introduced its exclusive top brand, Conrad, to the Algarve. There are only 20 Conrads worldwide. 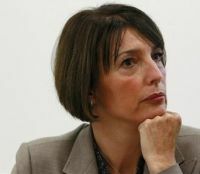 Speaking at the European Aviation Club in Brussels last week Carolyn McCall, CEO of easyJet, urged the EU to continue the liberalisation of European aviation that was launched with the opening of Europe’s skies in 1994. Her audience included MEPs, EU officials, academics and aviation industry representatives. 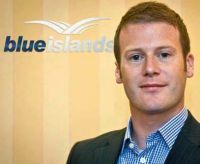 Blue Islands, an airline which operates out of Guernsey and Jersey, is to introduce services to both Amsterdam and Paris Charles de Gaulle on 4 February 2013. The Channel Islands based carrier, originally established in 1999, says that passengers are fed up with paying the UK APD, and that in any event Gatwick, which is the main gateway, has poor international connections. 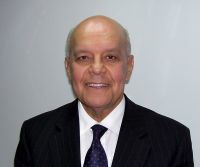 Somon Air of Tajikistan has appointed Lloyd Paxton as its new Chief Executive, replacing Alisher Rustamov who leaves the airline for a new role at Dushanbe International Airport. 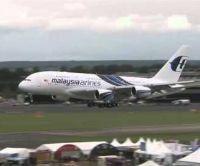 Malaysia Airlines will launch double daily Airbus A380 flights on its Kuala Lumpur – London operation from 24 November 2012, increasing the weekly seat capacity by 16%, from 5,971 to 6,916 in each direction. Two trucks loaded with a thousand copies of Roget's Thesaurus collided as they left a Heathrow warehouse on Saturday night. Witnesses were surprised, dumbfounded, astonished, stunned, startled, aghast, taken aback, stupefied, shocked and seriously knocked for six. Ferrovial, the owner of Stansted Airport, has set 23 October as the closing date for bids to buy the Essex operation, which it has to sell due to a Competition Commission ruling in 2009, delayed following various appeals. Ryanair will launch six new routes from Dortmund in March 2013. These are Alghero, Barcelona (Girona), Faro, Malaga, Porto and Palma. 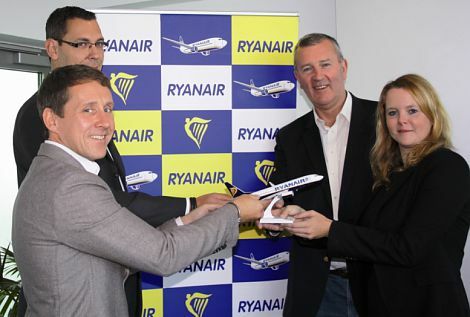 It becomes the 11th airport to be served by Ryanair in Germany. The Swiss Alps is a destination for Eurostar customers this winter. Well not exactly the Swiss Alps but Lille, where a change onto the TGV Lyria is effected. 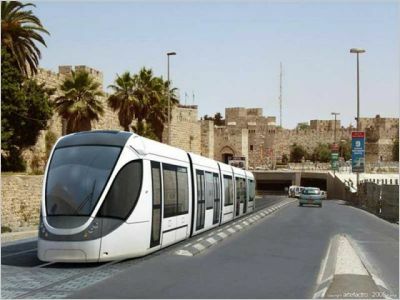 On the return leg of the journey, passport and security checks will be carried out at that station during the train transfer. 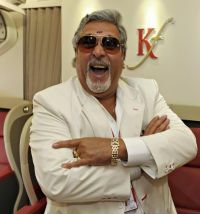 Not profitable since its inception in 2005 Kingfisher Airlines has announced that the partial lockout declared on 1 October as a result of what it calls “employee related issues”, is being extended until 20 October. 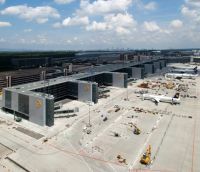 It has been a busy week for Lufthansa with the opening of Frankfurt’s new A-Plus Concourse and the confirmation that it will merge its German point-to-point services not operating through Frankfurt and Munich under the Germanwings brand. Whilst Qatar Airways CEO Akbar Al Baker will no doubt reflect on his airline’s proposed election to oneworld, comment on the New Doha International Airport delay, and update the assembly regarding Boeing and the 787, he is also likely to either discuss or answer questions regarding the Bombardier C series at the Aviation Club on Wednesday (17 October). 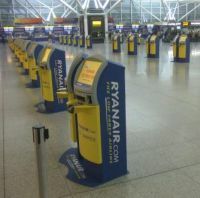 Ferrovial, the owner of Stansted Airport, has told Ryanair that it is not wanted as part of any consortium involved in the purchase of the airport. With the Irish airline controlling the majority of passenger traffic, and requiring an obvious ‘due diligence’ requirement, its role as an investor could easily be considered as predatory.